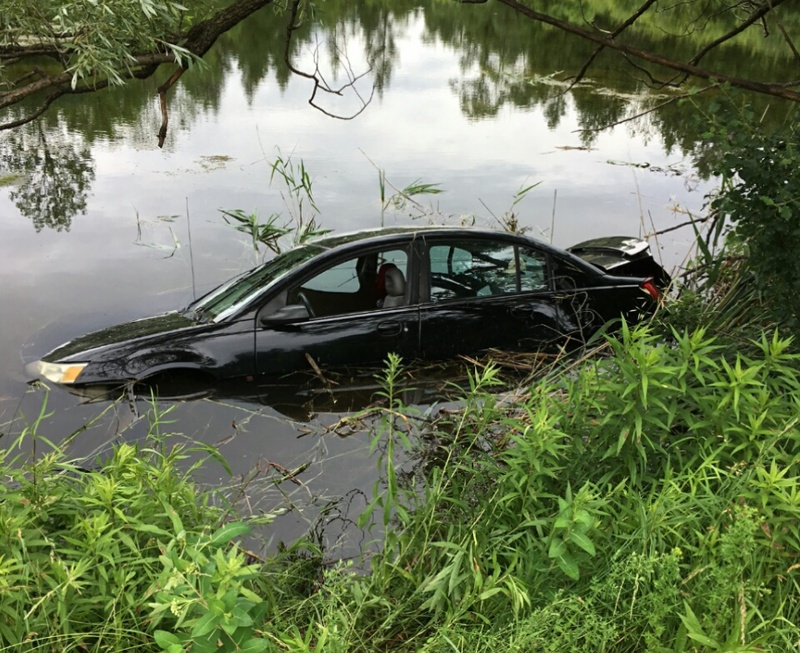 Police on scene at a pond on Concession 1 near Sideroad 25 where a car has ended up submerged almost to the roof. At this time we are told that everyone is ok but we have no information on injuries or how the car ended up in the water. Thanks to everyone who sent us information about this accident.